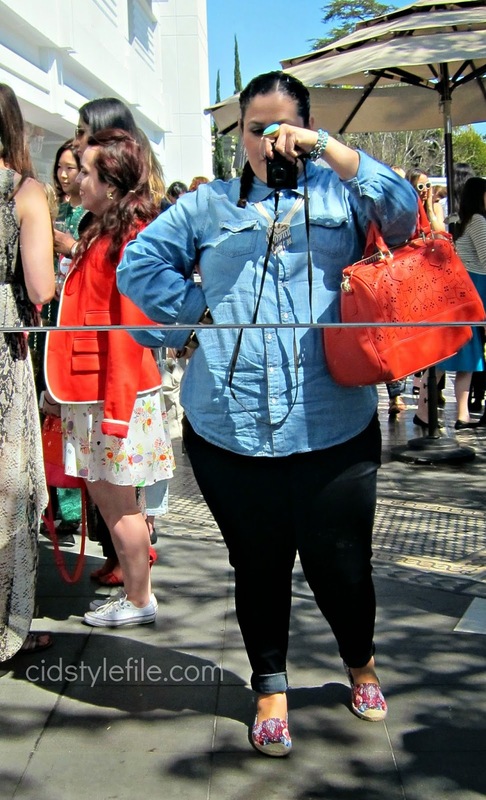 Doing what fashion bloggers do best, taking selfies of our outfit! Lucky FABB day two, was the time we got to really hang out and chat with other bloggers. 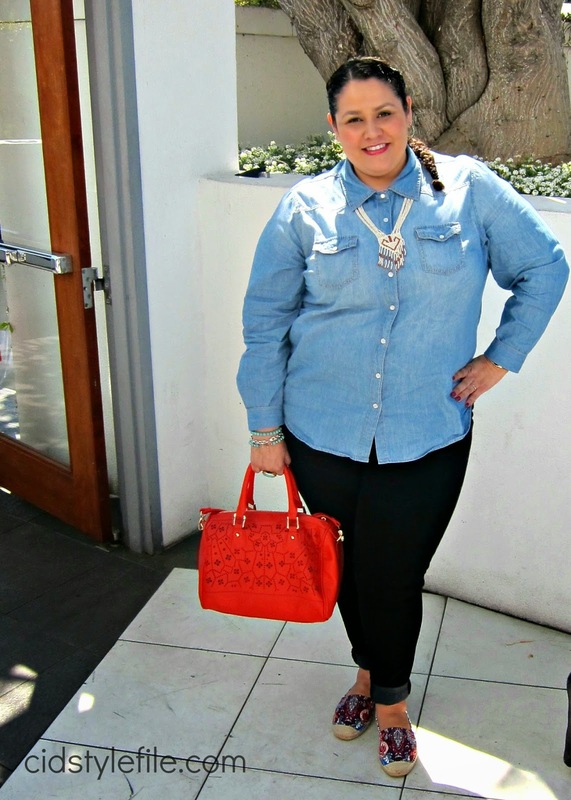 Basically day 2 was a networking brunch held at the SLS Hotel in Beverly Hills hosted by Miss Me Jeans. All the bloggers got to meet and chat over some yummy food. It's usually difficult during a conference to really chat with other bloggers and get to know people. You normally say hi, introduce your self and swap biz cards...that's the extent of meeting some bloggers during busy conferences. 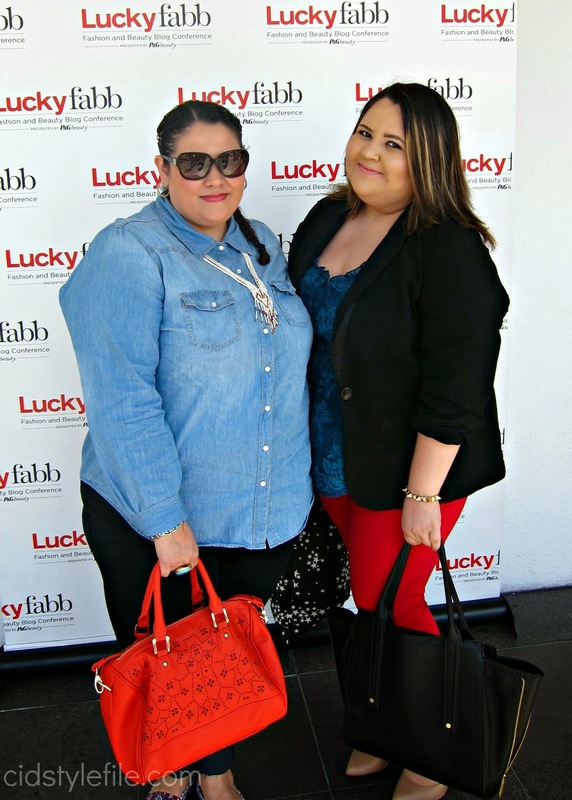 So I must say the networking brunch was a nice change for Lucky FABB. I did enjoy being able to talk to new bloggers I just met and also with my long time bloggers buddies. Lucky FABB has become a reunion for some of us, we get to meet up every year and have a blast! Networking is an important part of attending bloggers conferences, especially among other bloggers. That's who you want to met and connect with. 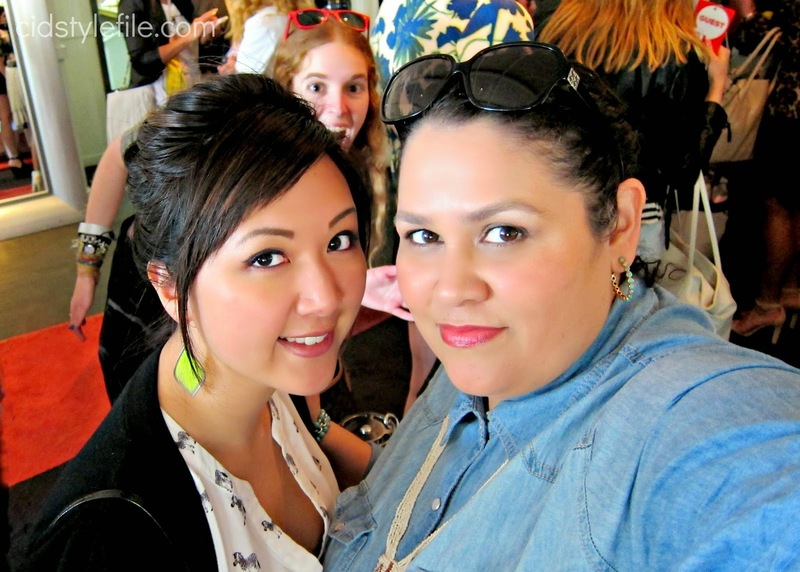 Some great friendships have been built with bloggers, who other wise I would have never met if it weren't for my blog. It does amaze me at times how we all come together over our love of fashion, and sharing our outfits on social media. Who would have ever thought anyone else but me would be interested in what I am wearing! Don't you just love blogging!!! We ate, talked blog shop and got a sweet gift bag at the end of the brunch. This was the extent of day two of Lucky FABB, which was short and sweet. 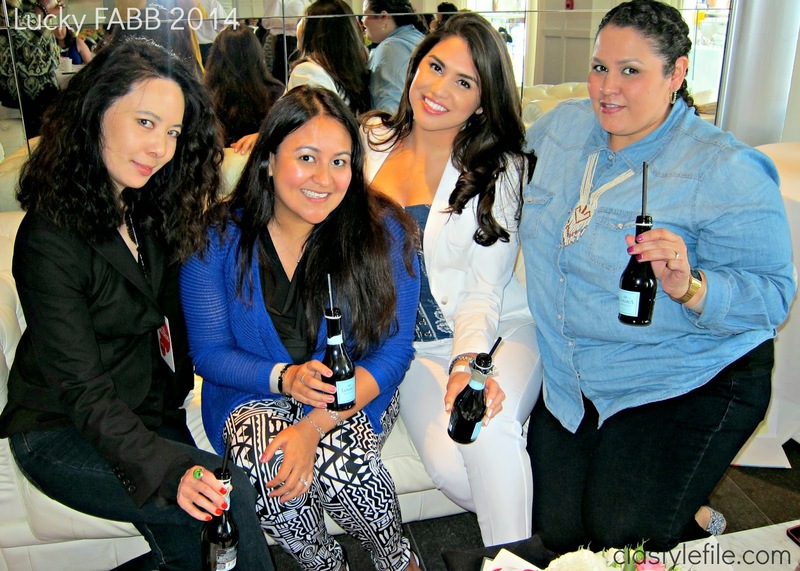 After brunch a few select bloggers got invited to a spa treatment at the Ciel Spa in the SLS Hotel hosted by the National Honey Board. I was one of those bloggers who enjoyed some mini spa treatments using honey. Did you know you can use honey for all kinds of beauty treatments....we got scrubs and mask done on our face, hands and feet, all using honey! I will share some recipes on another post, it was fabulous! So there you have it Lucky FABB West 2014 is over and done. I look forward to reuniting with friends and meeting new blogger buddies next year. If you plan to attend, let me know and I'll see you there! Here is what I wore for the last day of conference. After listening to the previous days speakers talking about "being genuine" and expressing your individual style, I decided to go with a more casual outfit. This outfit is totally me and something I wear regularly. I love denim/chambray shirts and a good pair of skinny jeans. I felt comfortable and good with this outfit, and it totally expressed my style. Just realized most of my outfit is from Ross, Whoop I got it at Ross! 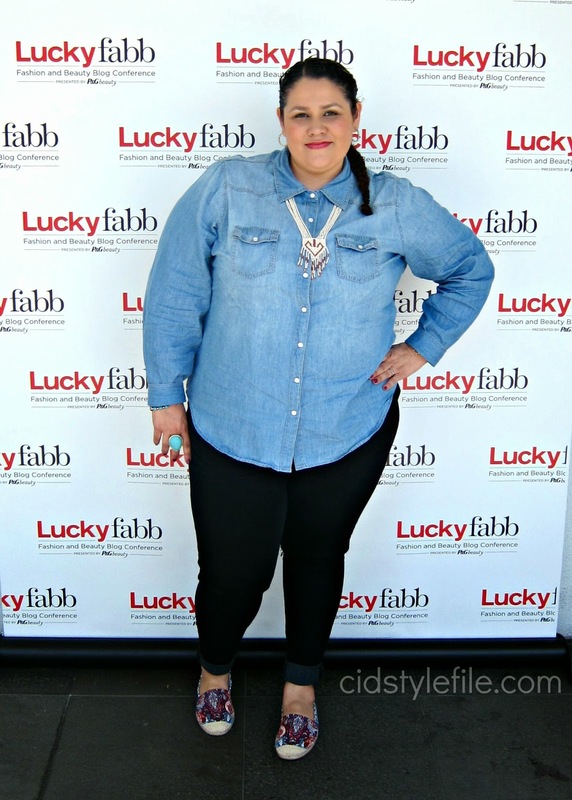 Hope you liked my recap of Lucky FABB this year. If you like my outfit, pictures or what you read, share it! Remember what you learned in school...sharing is caring! I love a good denim/chambray shirt myself. So comfy! I really love how you pulled that outfit together. Such great combinations! It seemed like it was a blast. Haven't had a spa treatment in a while. Aw, I love that pic of us at brunch! It was great to see you and while I was sad that the Honey Board Spa got booked so fast, I am glad you got to enjoy it! See you next year, baby! Wow looks like an awesome party!! Curly Hair Be Gone, My First Blow Out!